The Palm Bora Women's is a ladies specific sea and touring dry suit which is designed to handle any conditions that you can. 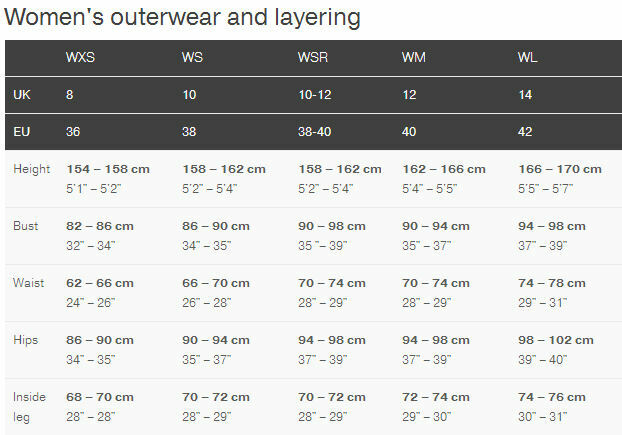 This Drysuit is Available to order only. 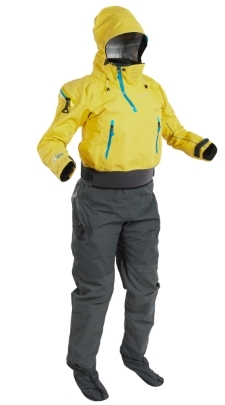 The Palm Bora Women's drysuit is new for and the replacement for the Palm Lofoten. It is specifically for ocean and coastal paddling in cold weather and is perfect for sea kayaking, kayak fishing, open canoeing and touring. The Bora Womens has been cut specifically to fit the female body shape more comfortably and tje dropseat relief zip makes it easier when nature calls! The Bora Womens also features a fully adjustable storm hood to keep your head protected from the sea spray, rain or cold wind, this hood can also be rolled away for when it isn't needed. The smooth non-chaffing glideskin neck is comfortable for spending all day on the water and coupled with the latex wrists seals, will keep the water out even when the conditions are against you. The neck also features a 1/4 zip outer collar for added ventilation if needed. 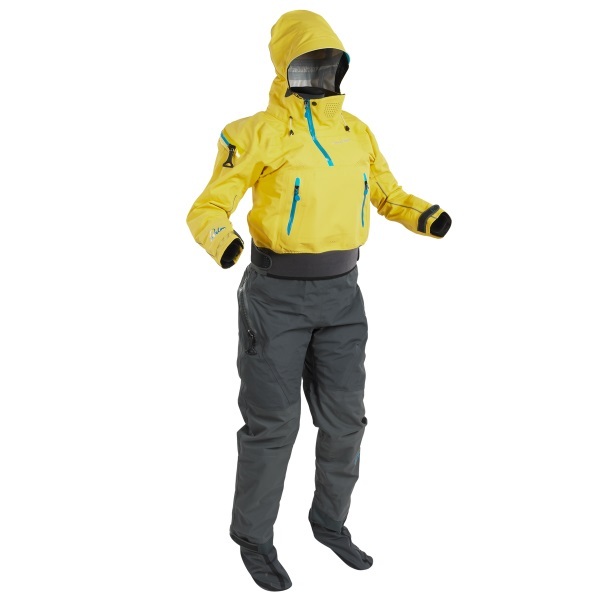 The Bora Womens is a superb drysuit for ocean touring and kayak fishing, and will keep you dry whilst being comfortable for long days on the water. We offer a delivery service for the Palm Bora Women's Dry Suit throughout the UK & Ireland to home and work addresses. Unless instructed otherwise, we endeavour to supply the Palm Bora Women's Dry Suit in 3-5 working days within the UK mainland. Delivery times are estimates based on years of experience; we do not offer a guaranteed timed delivery service. Our overnight service works well for the core more densely populated areas of the UK for Clothing and Equipment orders. However more remote less densely populated areas will not be covered by a next day service. Buy a Palm Bora Women's Dry Suit online from our website and collect from our shop in Hamworthy, Poole or you can collect from any branch within the Canoe Shops Group. There is no cost associated with in-store collection.